Numero uno director Rajamouli interacted with the media last week and announced several crucial details about RRR’s story and characters. 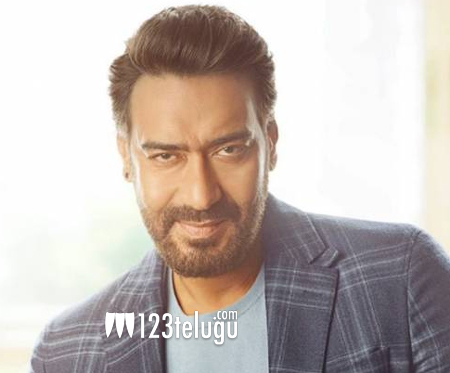 Although he revealed the characters being played by NTR and Charan, Rajamouli was tight-lipped about the role being played by Bollywood star Ajay Devgn in RRR. Now, if the latest updates coming in from Bollywood circles are anything to go by, Ajay Devgn will be seen in an extended cameo in which he plays a North Indian freedom fighter’s role. Apparently, Rajamouli roped in Ajay since the character demanded an experienced actor who can pull off an intense role. On the other hand, Bollywood actress Alia Bhatt will be joining RRR’s shoot from this month end, in the North Indian schedule. Details about Brit actress Daisy’s participation in the shooting are yet to be revealed. DVV Danayya is bankrolling RRR with a whopping Rs 350 crore budget. MM Keeravani is the film’s music composer. This much-awaited multi-starrer will be hitting theaters on July 30, 2020.